May 9, 2013 / R.S. Hunter / Comments Off on Why Don’t You Just Write Genre X? @robertjbennett My mom asked me if I ever wanted to write something like Nicholas Sparks and give up that science fiction stuff. This led to his response: “jesus christ.” And then a link to a hilarious image like the one you see above. 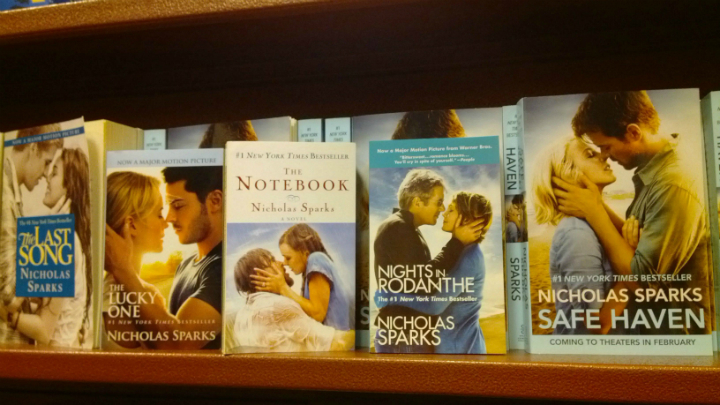 “White People Almost Kissing” the brand-new novel by Nicholas Sparks. And now for the whole story about my conversation with my mom and some commentary. Here’s the problem with that line of thinking–chasing what you think the mass market wants–you’ll always be chasing after something that’s constantly changing. Maybe you’re one of those authors who’s able to flit from genre to genre with ease. I’m not. My bread and butter is genre fiction: speculative fiction, science fiction, fantasy, and maybe even a tiny bit of horror. 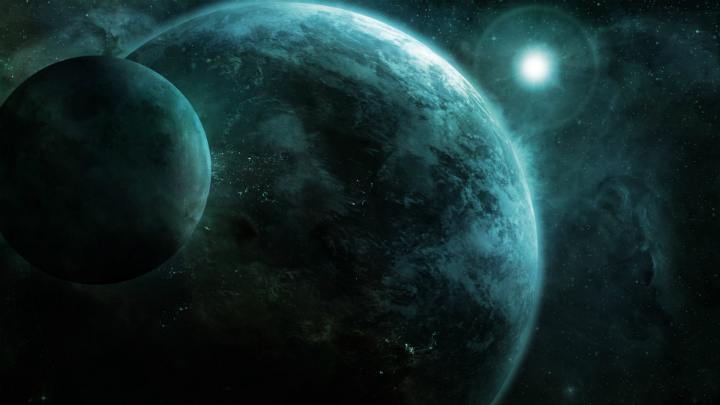 I try to move around within genre fiction–a sci-fi short story here, a horror story there, two steampunk novels, a sword & sorcery novel in the works, and several abandoned space opera novels. But it’s all within what I like to write. That’s the important part–liking what you write. Because I feel strongly about my stories, my characters, my genres, it comes through in my writing. Would The Exile’s Violin and its sequel have worked as, say, a paranormal romance? I have no idea, but I can guarantee the book because I don’t write paranormal romances. So you can imagine how awful the results would be if I tried to right a contemporary romance novel for purely commercial reasons. Or maybe it wouldn’t have been awful per se. I like to think I have a tiny bit of skill that when combined with proper revisions, working with beta readers, etc. could produce something half readable. A better term for the resulting paranormal romance manuscript: soulless. That’s what happens you write something to chase commercial acceptance. Or at least, that’s what would happen if I tried it. Maybe some authors are able to make that work. I’m not one of them. I have to write what I want to write. Otherwise, why bother writing it at all? So the next time somebody says, “Genre X is much more popular than genre Y. Why don’t you just write genre X?” I’ll reply, “Because I like writing genre Y.” ‘Nuff said.